Admin Note: Can combine with their other Milwaukee free tool deals. Add knife to cart and the price will be subtracted on a qualifing order. 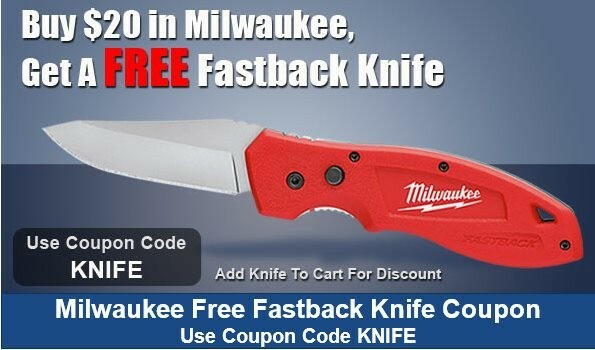 Use promo code KNIFE.